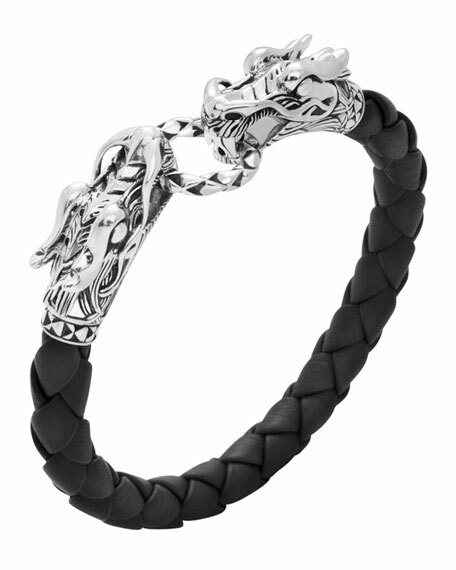 From the Naga Silver Collection. 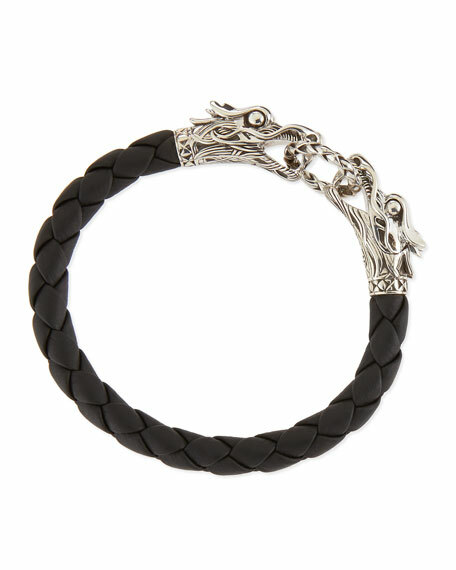 Sterling silver with black braided leather detail. Dragon mouth releases to grasp ring.